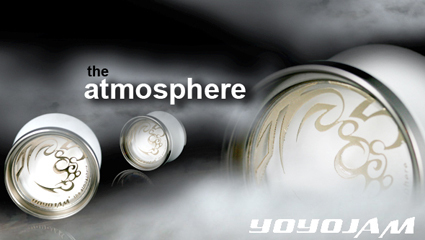 YoYoExpert Blog & Yo-Yo News – YYJ Atmosphere and SPYY Skyy Chaser are here! The future of yo-yoing is now. Advanced players require a completely unresponsive yo-yo that will give long spin times and tight binds. With these ideals in mind YoYoJam and 2004 5A World Champion Makoto Numagami proudly present the Atmosphere. 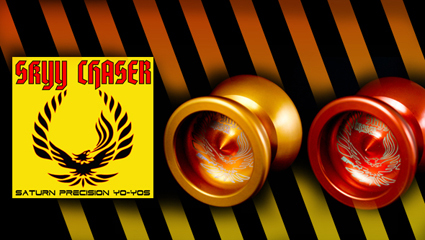 Quite possibly one of the most advanced and long spinning yo-yos you will find for its price. : : YoYoJam Atmosphere is here! SPYY does it again bringing to you another amazing player and stunning looking yo-yo at a price very reasonable for high end yo-yos today! success of their older model the “Spyder” they decided to take a new undersized yoyo to the next level. Key features include a wider gap, a pile more rim weight for longer spins and killer looks. Be sure to check out SPYY’s newest addition to the team: Guy Wright! His video shows off the Skyy Chaser and just what it is capable of in the right hands! : : Check out the Skyy Chaser here!